An Alternative to Irrigation Lenses. 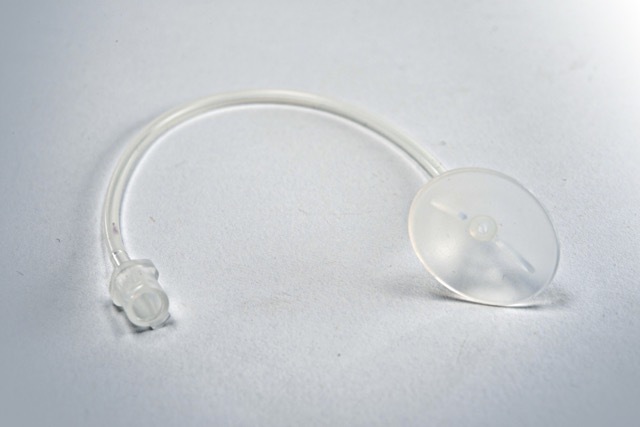 Originally the EyeCap was designed to as a bridge to using irrigation lenses for kids with splash injuries to the eye. While many think of irrigation lenses as being a gold standard for treatment of these injuries, these devices are not tolerated well by children, even when numbing drops are used. It can take a long time to get children sedated. Meanwhile many of these kids where left untreated with chemical continuing to damage the eyes. Other irrigation alternatives did not work much better. For example, IV cannulas dripping saline into the eye would cause a patient to “blink” and keep their eyes so fluid would not get in their eyes. The result would happen when using a syringe to flush water directly into the eye. Even mandated eyewash stations, which are very rarely used in ER’s, impact the eye causing the lids to reflexively remain closed. 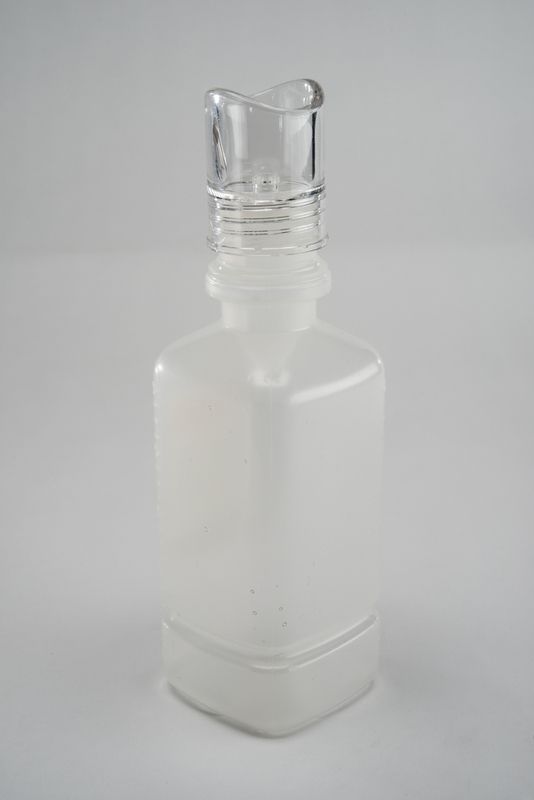 The indirect spray of the EyeCap and the pooled fluid with an outlet for ongoing dilution, overcomes the blinking reflex. It provided temporary relief for kids prior to sedation to prevent ongoing injury from chemical splash injuries, by decontaminating the outer and inner surfaces of the lids quickly and effectively. In fact, many of these pediatric patients got relief so quickly and completely that they did not need further irrigation for minor injuries. That can save a lot of time in the ER and expensive resources while also avoiding risks associated with misuse of irrigation lenses. Along the way, many clinical providers have used the EyeCap on themselves after a body fluid exposure or contact with a hospital irritant, when accessing an eyewash station was not practical. The product works well for kids and adults of any size. Use the EyeCap first. Even when there are major splash injuries, the EyeCap is still the best first line treatment in the ER, since it can be started much faster and easier than getting the numbing drops required for irrigation lenses, and far faster than setting up these devices. Use the EyeCap first to instantly begin treatment and buy time for using the irrigation lenses. The EyeCap does not require the use of numbing drops, so the hazards of numbing drops can often be avoided. For example, the EyeCap can be safely used when a foreign body is suspected. When a splash injury occurs, the presence of a associated foreign body should be considered. Using numbing drops could mask the pain associated with an embedded foreign body that would be a contraindication for irrigation lenses. Though numbing drops can mask pain, mask a foreign body sensation and interfere with your clinical assessment. However, when a patient feels better and looks better after a minute or two of bottle irrigation with the EyeCap (i.e. without the use of numbing drops) chances are they are better. 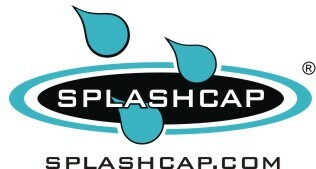 We recommend using the EyeCap first for nearly all splash injuries. However, if an injured patient continues to be in pain after using the EyeCap and needs numbing drops for relief or has other significant signs or a significant history, you should strongly consider moving on to the more expensive, time consuming and invasive irrigation lenses. Begin irrigation in seconds. Just twist on an irrigation bottle and squeeze. Its that simple. The EyeCap makes it easy to and simple to deliver large volumes of fluid to the eye in seconds. Begin with irrigating the external surfaces of the eye. Lift the EyeCap off the surface to release the initial irrigation fluid, then keep sealed over the eye surface. After the external surfaces of the eye are irrigated, the patient can open their eyes as if they were in a swimming pool. Patients will often need help to open their eyes. This can be done by prying the lids apart even a little bit. Once the lids are open, the overlying fluid floods the eye. There is typically significant relief of pain and anxiety as the patient becomes much more cooperative. Flush the opposite eye if needed. Use a new bottle of fluid or use tap water to refill. Irrigate 500 to 1000ml per side and reassess the need continue treatment or finish. This can be done in 1 to 2 minutes from start to finish for a minor injury. Irrigation Lenses cost more than double the cost of the EyeCap. This doesn’t include all of the associated equipment and staff resources. The EyeCap costs much less than the combined cost of using a bottle of numbing drops for the eye, two IV bags, two IV extension set, and two irrigation lenses with an adapter. Two minutes using the EyeCap takes a lot less equipment and staff resources than a two hour visit requiring sedation. Better Patient Care & Patient Safety. The EyeCap provides better patient care by instantly delivering large volumes of fluid to the surfaces of the eye. Also, numbing drops are not typically used and this avoids masking foreign bodies and helps with patient assessments. The EyeCap is non-invasive. It is simple and easy to use with minimal instruction compared to irrigation lenses that are invasive and require skilled training to use. Avoiding sedations for patients that don’t tolerate irrigation lenses eliminates the risks associated with these procedures, especially in a combative patient. Using the EyeCap allows you to provide better more economical and efficient care. Begin irrigation in seconds. Just twist on an irrigation bottle and squeeze. It’s that simple. The EyeCap makes it easy to deliver large volumes of fluid to the eye in seconds. After the external surfaces of the eye are irrigated, the patient can open their eyes underwater like in a swimming pool. Patients will often need help to first open their eyes. This can be done by prying the lids apart even a little bit. Once the lids open, the overlying fluid floods the eye. There is typically significant relief of pain an anxiety and the patient becomes much more cooperative. Unlike an irrigation lens (as shown to the left), there are no ophthetic drops to order and wait to be delivered from the pharmacy. There are no IV bags to set up with extension tubing. There is no need to explain why you are going to put a foreign body into the eye of an injured patient. Using irrigation lenses on children (and some adults) often requires sedation, with it’s delays for IV’s, consents and controlled sedation drugs. Many adults cannot tolerate the devices. There is no direct impact on the eye. aims at the sidewall and trickles down.